Have you ever looked at a tumbling blocks tutorial and wondered how to sew all the tumbling block units together? Wonder no more! Smart tumbling blocks quilts are not actually constructed of lots of tumbling blocks. 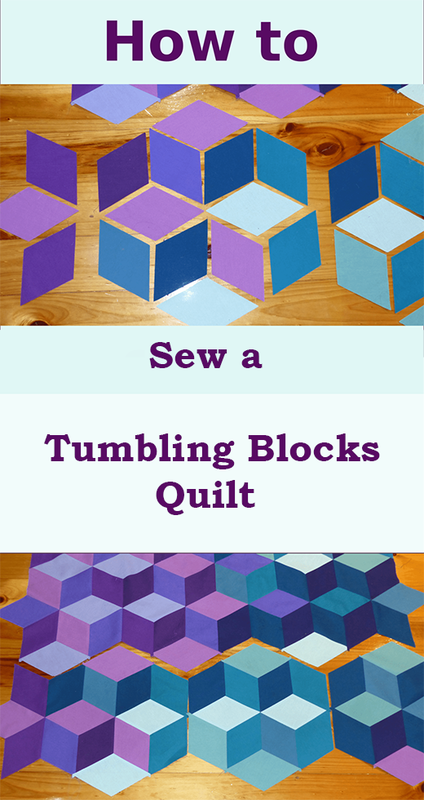 Do not sew all the tumbling blocks for your quilt until you have read this tutorial, or you may be disappointed. This Tumbling Blocks Quilt Tutorial by Clever Chameleon, it's available for free.